The investigation of the independent prosecutor Robert Mueller on the possible collusion between the campaign of the American president Donald Trump and Russia fulfilled a year this Thursday, without an early solution and under the continuous assault of the president and his political allies. Trump marked the date with a renewed attack against what he has described as a witch hunt denouncing the investigation as a waste of money despite the fact that five people including ex-collaborators of the campaign and his government, pleaded guilty to several crimes and cooperate with Mueller. Of the 19 people indicted on various charges, only Alex van der Zwaan, a lawyer who worked with the former campaign manager, Paul Manafort, another of the defendants, serves a sentence of 30 days in prison after pleading guilty to lying to the FBI in the course of this investigation. 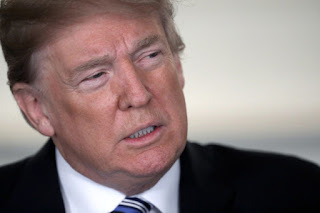 In spite of everything, Trump resorted in usual way to the social networks to denounce the investigation, echoing speculations that the FBI had the help of an informant inside his campaign to mount the case that resulted in the investigation. "Congratulations United States, we are now (entering) in the second year of the largest witch hunt in the history of the United States and there is still no collusion or obstruction," said the president in the first of his messages on Twitter. He accused that the only collusion is in which the democrats incurred, "who were not able to win an election despite spending much more money". In a second message, the president resumed the speculation of a conservative columnist, in the sense that the FBI would have an informant inside his presidential campaign. "It is being said that the Obama FBI 'SPIDED IN THE TRUMP CAMPAIGN WITH AN INFILTRATED INFORMANT," says Andrew McCarthy," the president said, referring to the former Justice Department official. Trump said that if this speculation turns out to be true, "this is bigger than Watergate." The political analyst and Republican strategist, Ana Navarro, a frequent and harsh critic of the president, also used the networks to respond to his comments. "Condolences United States. We are now well ahead of the second year of the worst presidency in the history of the United States," she replied in a message on her Twitter account. Mueller took the reins of the investigation after Trump fired James Comey as director of the FBI, after which Attorney General Jeff Sessions recused himself from serving before as a campaign advisor. Those adjustments left in the hands of Deputy Attorney Rod Rosenstein the decision to appoint a responsible in charge of the same, responsibility that ultimately fell to Mueller, who during the administration of George W. Bush served as director of the FBI. Both Mueller and Rosenstein face increasing pressure from the president and his allies to conclude the investigation, arguing that nothing has so far shown the existence of any collusion between the two parties. However, the investigation has not yet covered one of the most anticipated subjects: the possible interrogation of the president by Mueller, who has been discussing this scenario with the external legal team representing the president, headed by Rudy Giuliani. Giuliani said Wednesday that Mueller's team has let them know his conclusion that Trump could not face any accusation as head of the executive branch, even if they find that the president has incurred any legal offense. The past 12 months have produced a series of criminal accusations, guilty pleas, tense court hearings, furious tweets from the president and, above all, endless speculation about what Mueller knows and what he will investigate next. For Rudy Giuliani, the president's lawyer, the investigation should "close now." "A year has passed, he has 1.4 million documents, he has interviewed 28 witnesses, and he has nothing, so he wants to interview the president," Giulani told Laura Ingraham of Fox News Channel. "It's time to say enough, we have tortured this president enough," he said, describing the investigation as "a great burden" on the president's back. There is no doubt that Mueller's research is quite broad, but it is focused mainly on two central questions: Did Trump's campaign colluded with the Kremlin to overturn the 2016 presidential election? And has the president The United States obstructed justice through actions such as the dismissal of FBI Director James Comey and the attacks on Attorney General Jeff Sessions for having been denied the investigation? In what there is doubt is on the final result of the investigation. Mueller is expected to submit a report of his findings to Deputy Attorney General Rod Rosentein, who appointed him, and that it be shared with Congress. Depending on the results of the report, Congress may try to prosecute the president politically - especially if the Democrats come to take control of the congress in the November elections. The legal precedent in the Department of Justice is, however, that a sitting president is immune from criminal prosecution, since that would undermine the commander-in-chief's ability to do his job. Presumably Mueller is limited by that conclusion.